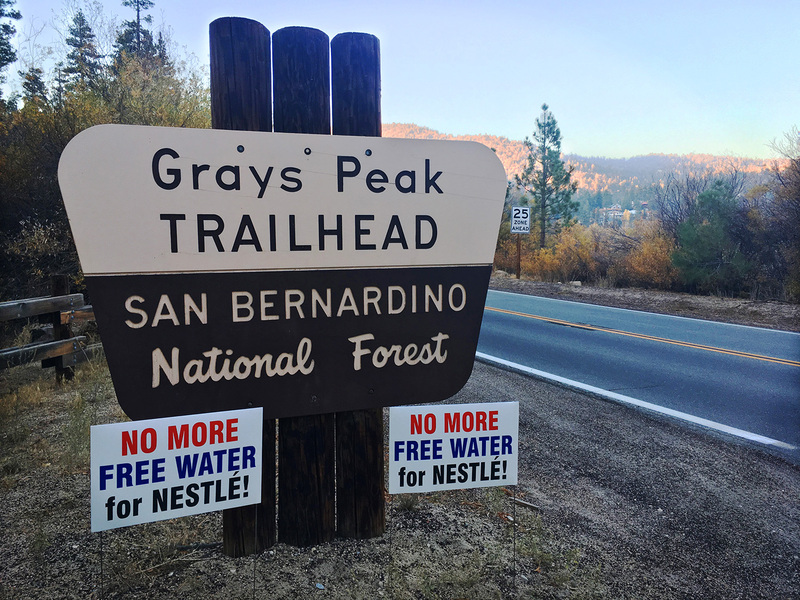 The Water Board has ruled that Nestlé is far exceeding its limited water rights and must immediately curtail its operations in the San Bernardino National Forest. For decades, the multinational corporation been extracting tens of millions of gallons each year for its Arrowhead bottled water brand, 62.6 million a year on average -- and the corporation is only entitled to 8.5 million. The Water Board's investigation substantiates concerns that Nestlé continues to bottle public water in California for private gain without adhering the legal framework established to ensure that water use, in an increasingly drought-ridden state recently devastated by wildfires, is reasonable, efficient, and benefits all Californians as well as the state's natural ecosystems. We know that Nestlé will use its team of high powered lawyers to challenge this decision. We need your help to keep the pressure on because our right to protect the law, our public land, and our water is more important now than ever. The Forest Service will announce whether it intends to renew Nestlé's operating permit, the result of our 2015 lawsuit against the Forest Service for allowing Nestlé's permit to expire without renewal nearly 30 years ago. In October we helped break a big news story uncovering Nestlé's closed door meetings with top officials at the Food and Drug Administration. We've since contacted the agency to challenge its questionable "spring water" labeling decision, only to learn that the agency is fully committed to backing Nestlé up. We're preparing our legal strategy for this fight. Please make a donation to support this campaign. Help us keep fighting for a future free from water privatization, for healthy public lands for new generations, and for government agencies free of corporate control. Nestlé Must Stop Taking Water Without Right! The Story of Stuff Project is a 501(c)(3) nonprofit organization with EIN #46-4334785. This donation is tax deductible to the extent allowed by law in the United States.